Dirt art for kids? Yep, it's true! So, the kids might get messy -- but, isn't that half the fun anyway! 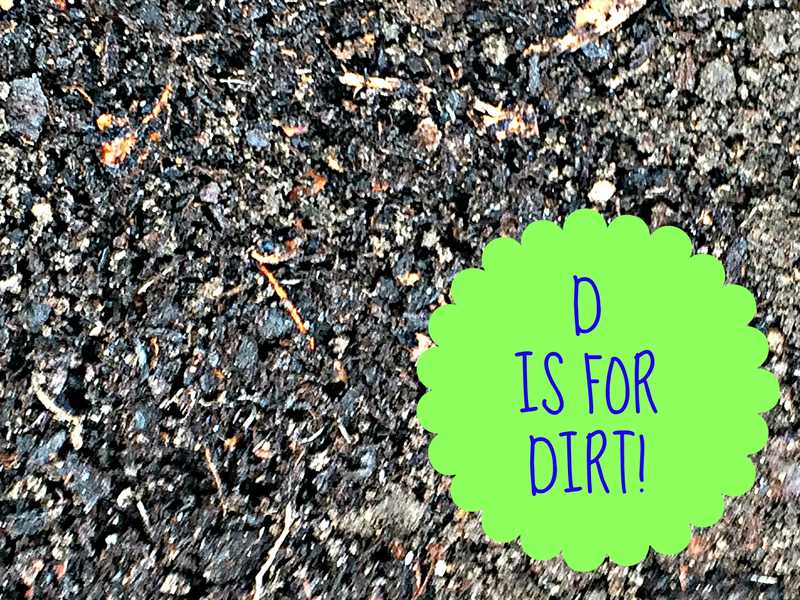 It’s the fourth day of the ABC’s of Nature hosted by School Time Snippets and…D is for Dirt! I’m a dirt aficionado. When my son was 2-years-old the only thing that he loved more than trains was dirt. He could spend hours kicking up the dirt at the playground making steam for his imaginary trains. He also spent plenty of time digging through our garden, looking at the creepy crawlies that worked their way through the soil just under the ground. Go back later (or on another day) and re-visit her science exploration by talking about her drawing. Before you toss the dirt back into the garden, stop and show your child how she can transform it into a colorful crafting item. If the dirt is damp, set it out in the sun to dry out. Ask your child what she thinks will happen if you spread out the dirt in a bin or on a piece of cardboard and put it in the hot sun. Check back to investigate how the sun is drying it out. When the dirt is dry, you’re ready to start the art-making process. 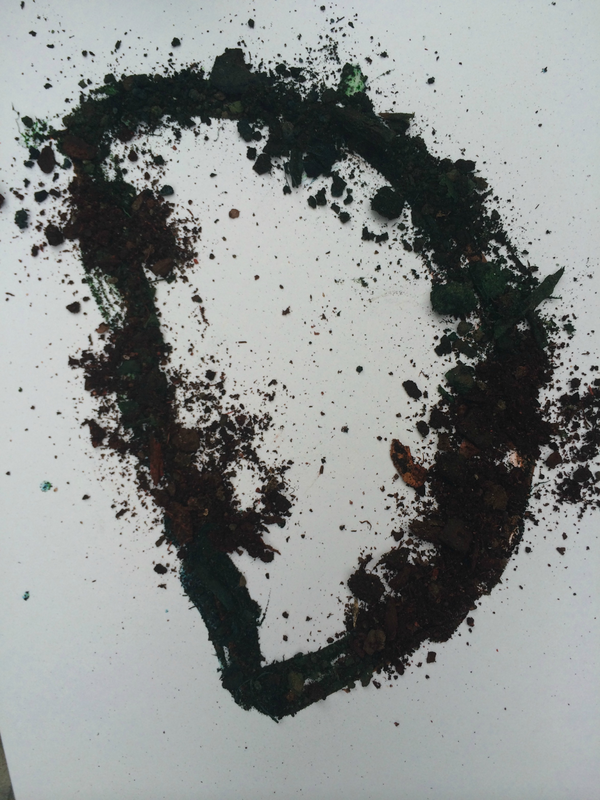 Your child can mix up batches of her own colorful dirt (use it like colored craft sand) to make a textured piece of art shaped like the letter D.
· Plastic containers or a cupcake tin– Reuse old yogurt containers or those little tubs that deli turkey comes in. 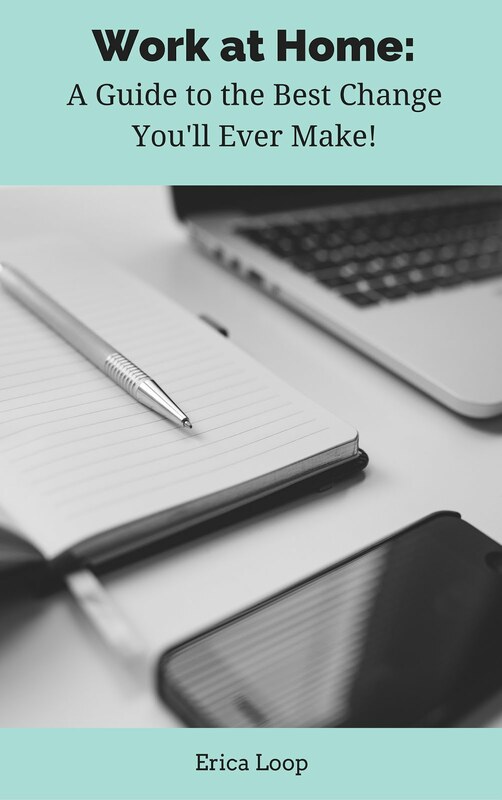 · Cardboard or thick paper – You can reuse the front of an old cereal box instead of buying new board. 1. Divide the dirt into at least two containers (or sprinkle it into each segment of a cupcake tine). The more containers that you use, the more colors of dirt your child can make. 2. Add a few drops of food coloring to each bin. Use one color per container or mix two (such as yellow and blue) to make a new hue. Have your child mix up the dirt and food coloring with a stick. Allow the colorful dirt to dry. Hint: If the dirt is still wet, you won’t see the color clearly. The drier the dirt is, the more vibrant the color. 3. Write the letter D on the cardboard. Your child can draw this herself, or (if she’s struggling) you can write it first and she can trace over it. 4. Squeeze the glue over the letter D.
5. Sprinkle the colorful dirt on the glue. If you want to create an alphabet of dirt letters or don’t want to bring the dirt inside later, your child doesn’t have to use glue. Make letter cards by drawing on card stock or cardboard and simply have your child shape the colorful dirt over the lines. Snap a photo to save this temporary art. 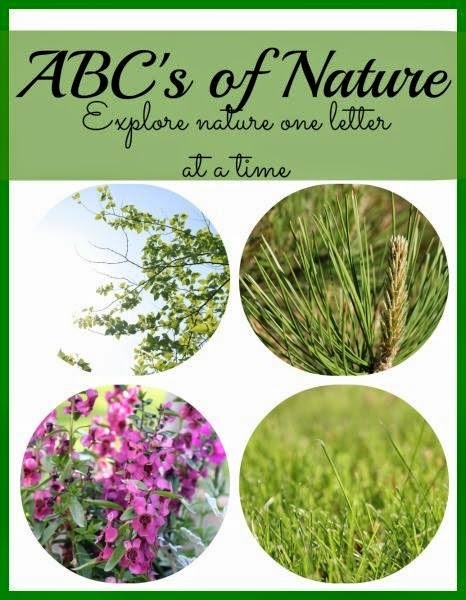 Hang your pics up inside or use them as letter learning cards! 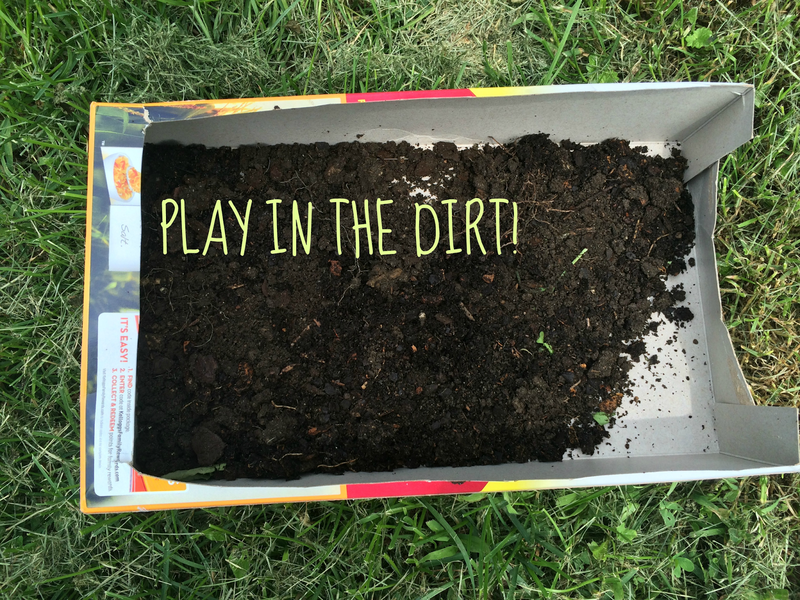 My daughter loves playing in dirt but I never thought to use it for anything crafty. Great idea! I've never thought of coloring the dirt before! Fun idea! My kiddos love digging in the dirt, too; they love finding the worms! My son is 12 and he still loves finding the worms too! Fun! I'd never have thought to add food coloring to dirt! Great idea! Thanks! The bright colors (such as green and blue) work the best.